Following the success of last years family fun day, we decided to try it again but this time in July with the hope of avoiding the rain. But it wasn’t to be with a downpour throughout the entire day and sadly the much anticipated rounders rematch had to be cancelled. Watch this space for Durabilis versus the rest of the world in 2018! With a change of venue this time around and lots of indoor space (thankfully) we still pulled off a great day full of fun, fine food and refreshments. A massive thank you to all of our suppliers on the day who really went the extra mile, The Magic Brushes, Photo Booth Parties, Rustic Events and Carlos Ice cream. 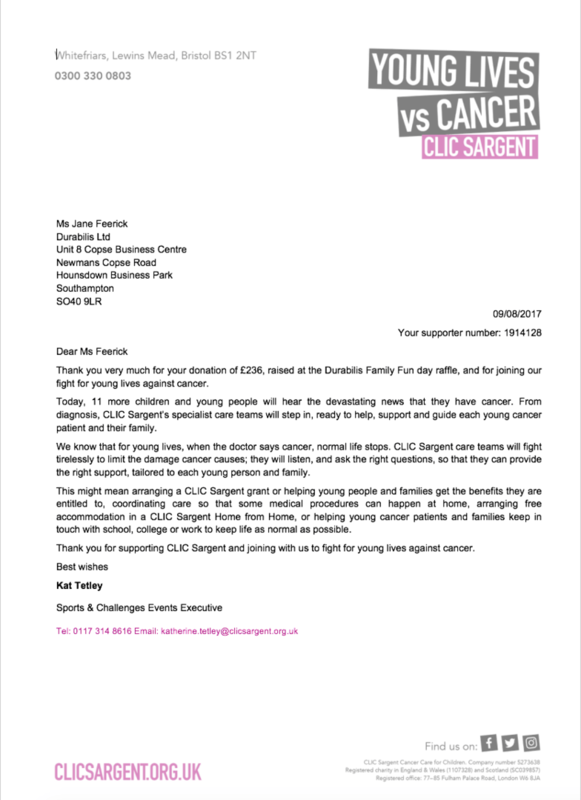 This years chosen charity was CLIC Sargent, fighting for young lives against cancer. It doesn’t get more worthwhile than that. 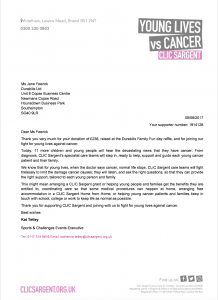 With a GoXtreme Camera at stake, we raised an amazing £236.00 for this fantastic charity. 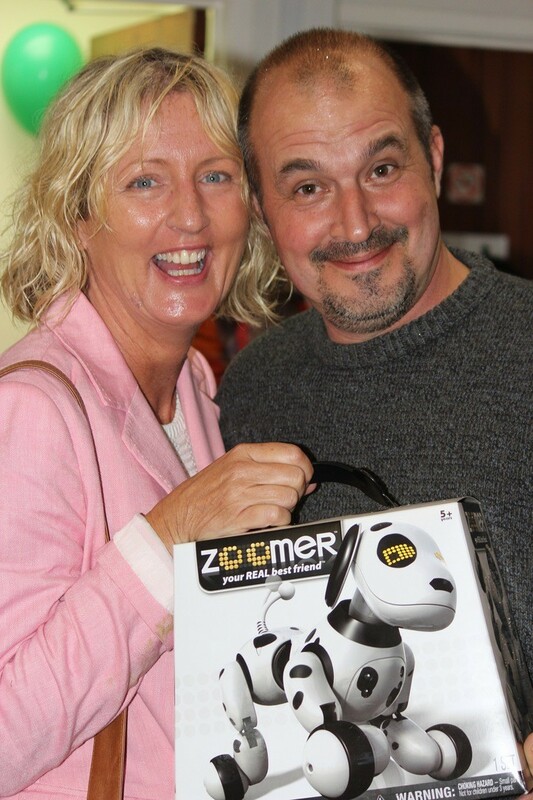 Well done to Dan Martin who was the lucky winner. Thank you for everyones kind generosity. And finally our thanks to everyone who helped make sure the day was a success, too many to name but a special mention to those who helped set up and the clear up squad who stayed ’til the death. 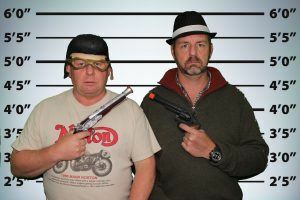 Please click here for this years gallery and for a small selection of photo booth beauties! 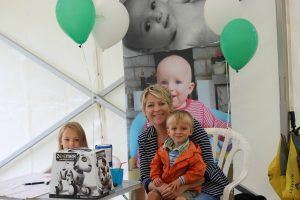 Posted in News	| Comments Off on Family Fun Day 2017! 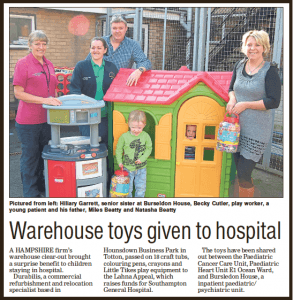 Works undertaken in our own back yard… a nice change! ‘The construction of our new office was a major undertaking, getting it right was critical; Working in a fast moving and dynamic sector, we are used to taking a pragmatic approach to business and this project was no exception. We chose A&A with Durabilis for a ‘turn-key’ job including fit-out and furnishings. We selected Durabilis for the fit-out work, as we felt they were a perfect fit for us in this approach; Project Manager Pat Lafford was very accommodating and allowed us to work closely together to get exactly what we wanted, providing the expertise and advice we needed, when we needed it. This professionalism was echoed by each member of the Durabilis team onsite, who were always extremely courteous, were masters of their trade, and their work was of a high standard and to our specification; in short our team are thrilled with the outcome. To view the works undertaken, please click here to view our case study. Posted in News	| Comments Off on Works undertaken in our own back yard… a nice change! 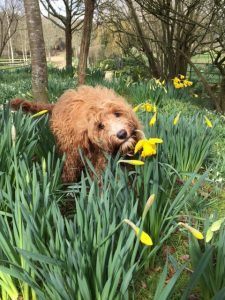 Spring has arrived… Along with Jen!!! Manager. 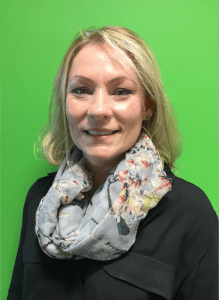 Jen joins us from Underwood Carpenter where for 3 years she was seconded into Waitrose as a Project Manager, managing the planning, design and construction negotiations on their new stores. Over the past 12 months, Jen was a consultant on infrastructure upgrade projects and housing refurbishments at the Waitrose Leckford Estate. A perfect fit for us! Prior to moving to the U.K. Jen worked in-house as Development Project Manager for AHG (Australia’s largest automotive retailer) and Project Manager for Goodman Group, concentrating in large distribution / warehousing. Jen studied Construction at Newcastle (Aus) University and Architectural design and technology in Newcastle. Typically Australian, Jen loves her sport, and admits will occasionally support England. She is a keen cyclist and is constantly looking for that next Alpine cycle challenge. Posted in News	| Comments Off on Spring has arrived… Along with Jen!!! 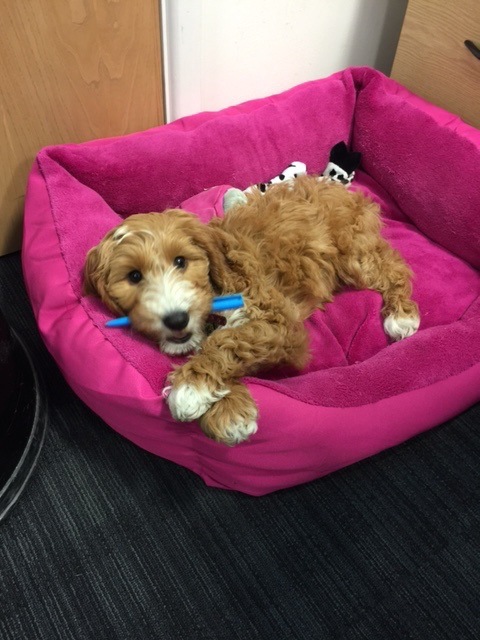 Introducing Poppy the new apprentice specialising in bin emptying, office stress reliever and official welcome party! She will be in the office most days so please be sure to make a fuss of her on arrival. First Refurbishment Completes… Aida & Cookie come home! 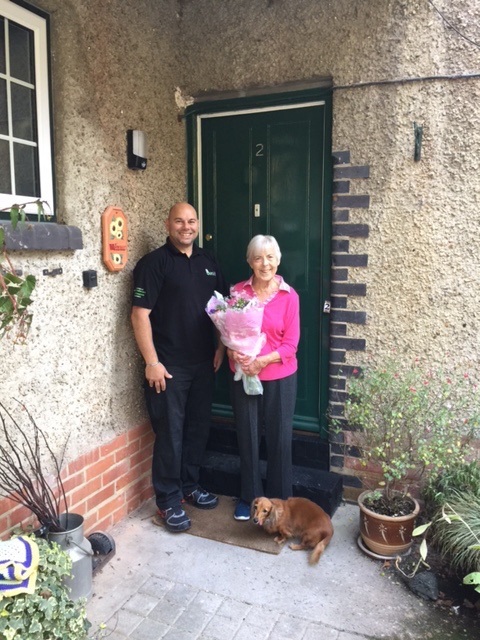 Towards the end of last year we completed our first residential refurbishment for longstanding tenants, Aida and her dog Cookie. After many happy years at the property, Aida and Cookie were temporarily rehoused on the estate during the works which included electrical rewiring, new heating, new kitchen and some redecoration. Both Aida and Cookie are delighted to return to their newly refurbished home, although they are now finding it rather warm. DBL Site Manager Sean Houlden with Aida and Cookie on moving in day. Posted in News	| Comments Off on First Refurbishment Completes… Aida & Cookie come home! I am delighted to annouce our recent success as one of two contractors, to be awarded a contract to start a refurbishment programme on the Leckford Residential Estate. As part of our ongoing commitment to meet the needs of the John Lewis Partnership we are delighted to have supported them over the past year on both commercial and residential works on the estate and this latest success will see this continue through until 2018.
competition was £300.00 and the lucky winners were David and Julia Staples of Normans Heating. Having chosen the winning name “Noodle”, they kindly gave up their prize to a young man who I’m sure will have hours of fun with him. 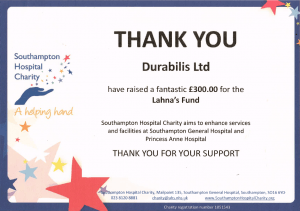 Many, many thanks to everyone for their generosity on the day for a very worthwhile l ocal cause, Lahna’s Fund where monies go to the Southampton Hospital Charity to enhance services and facilities at both the Southampton General Hospital and Princess Anne Hospital. 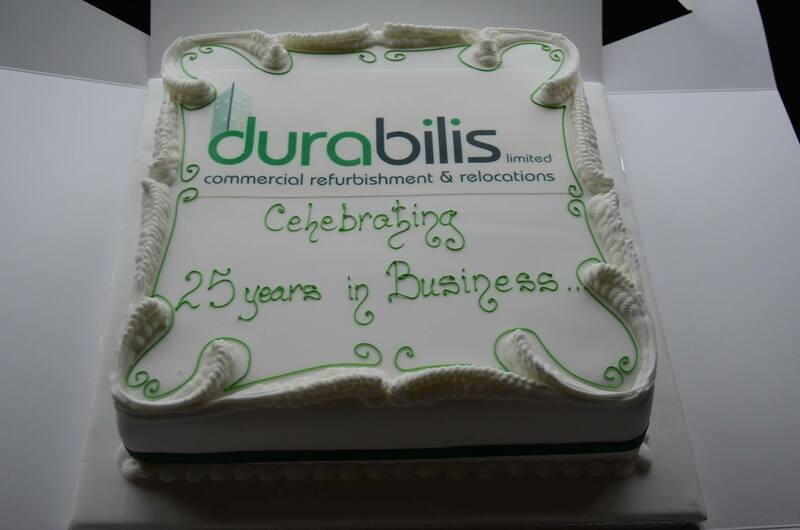 During September Durabilis celebrated it’s first 25 Years of Trading, 20 years as a limited company and 5 years of trading previous to that. Not an insignificant achievement in today’s economic climate. 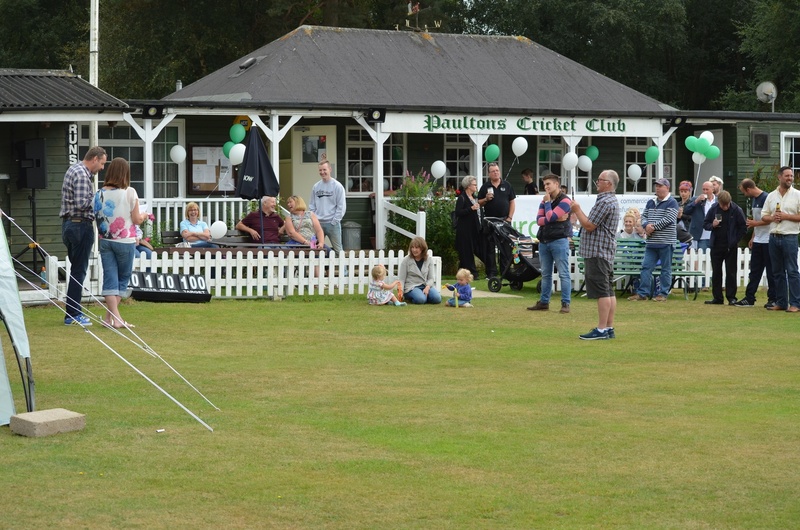 As a heartfelt thank you to staff, contractors and suppliers a Family Fun Day was held at a local cricket club and a good time was had by all. 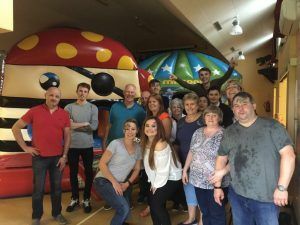 With children’s rides, inflatables, face painting, crazy photo booth, bucking bronco and a very competitive rounders match, the torrential downpour at 4pm did not dampen spirits. 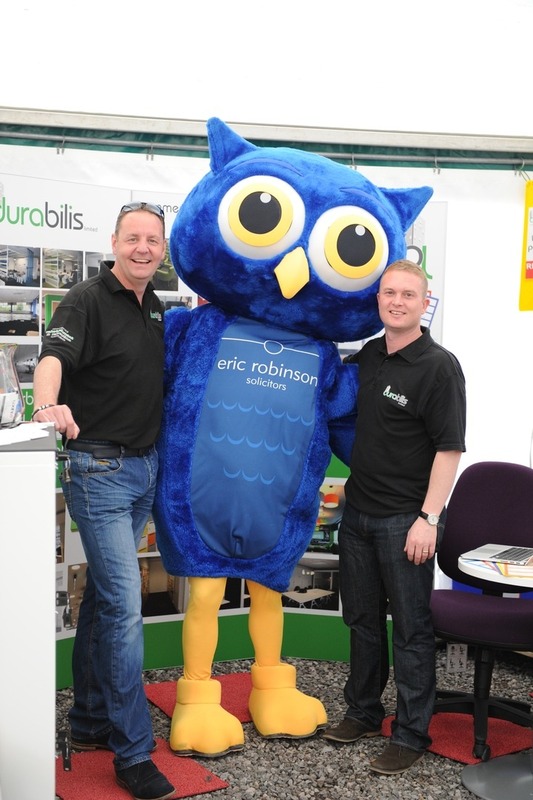 Jonathan Stone, Owner of Durabilis said “We’ve built the business on a firm foundation of open and honest communication between our customers and staff and by retaining a core team of experienced professionals and tradesman who perform together as one. It’s really as simple as that. A sincere thank you goes out to all of our suppliers and in house team without whom Durabilis would not be where it is today”. Take a look at more snaps from the day in the gallery. 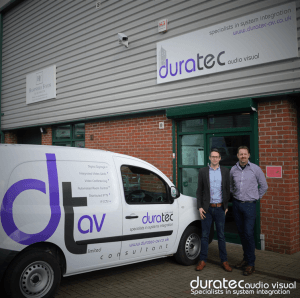 Duratec Audio Visual launches……a perfect match. Being a commercial refurbishment and relocation specialist Durabilis has successfully launched Duratec, a company to deliver innovative audio visual solutions to fully compliment the services we already provide. Duratec specialises in commercial audio and visual systems enhancing the traditional mundane meeting room. Bringing state of the art technology right to the conference table, setting you above your competitors with clear functional and easy to use equipment including; wireless collaboration, room automation and video conferencing. To see the full range of services on offer, please click here. This new development will ensure that Durabilis continues to grow from strength to strength in the future. There’s nothing like a good clear out to create space, remember what you’ve actually got and find new homes for redundant items. And that’s just what we did with numerous unused toys and were delighted to find a great new home for them. Please read the Echo article for full details. During the Easter break, a few of our team have been busy making and installing new sturdy allotment boxes for a local school to replace existing boxes that had been used and loved for many years. Hopefully these will last for many years to come. The school feedback was great… “I too want to say a huge thank you. It was a wonderful surprise when I arrived at school today. 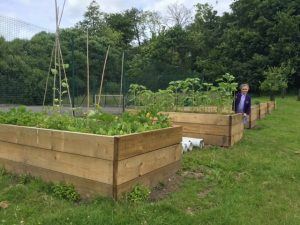 The boxes look amazing and so sturdy – will last for years!… Already germinating lettuces and Year 2 are going to plant Sunflower seeds next week… Many thanks for your generous support, please pass on my appreciation to your team. See the first crop of flowers and vegetables… Clearly many green little fingers have already been engaged. 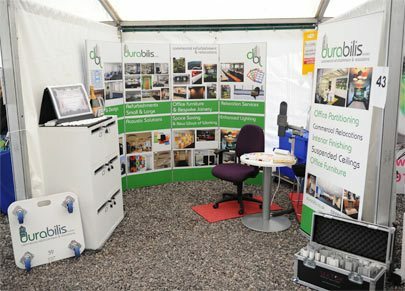 On Wednesday the 3rd June Durabilis took part in their first ever Expo, also a first for the New Forest Business Partnership. Aiming to increase our brand awareness in our local area with local businesses, we invested time in showcasing what we do best. The day was a huge success and we realised just how much we love talking passionately about what we deliver for our existing customers. Thank you to the New Forest Business Partnership for organising a great event and to everyone that took the time to come and talk to us (and to those that we sought out!). We would love to hear from any prospective customers if we can be of service in the future. 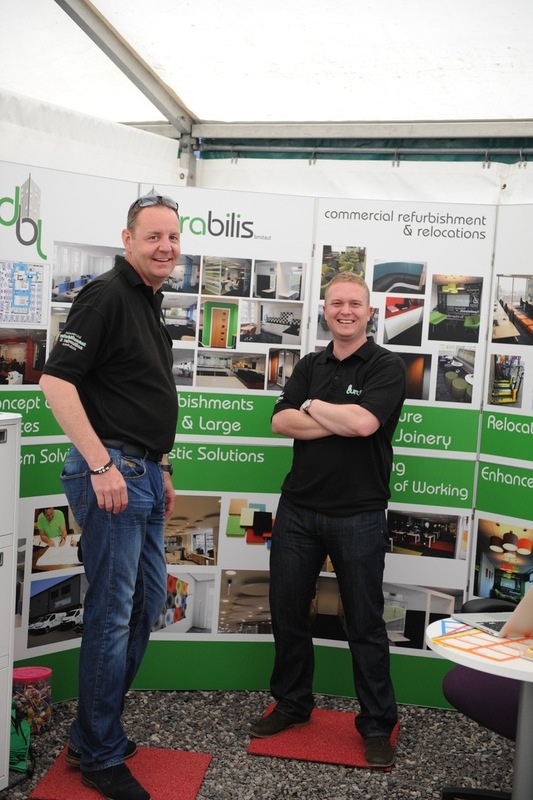 And not to forget a big thank you to our neighbours, Stewart and the team at Splash Display for their input, prompt turnaround and patience in producing our knock out display stand and banner.